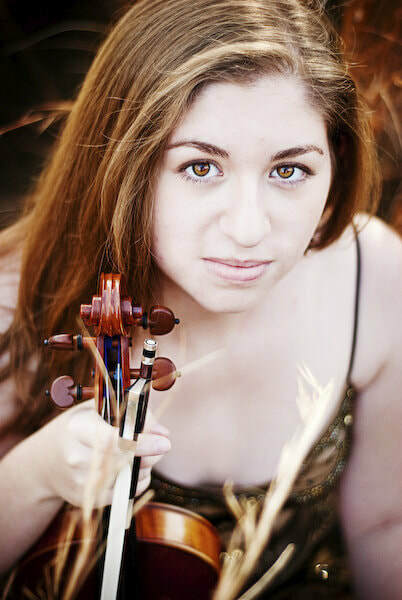 U.S. violinist Christina Adams appears frequently as a soloist, chamber, and orchestral musician. She has collaborated with leading artists from around the country, including New York Philharmonic principals Frank Huang, Michelle Kim, Cynthia Phelps, and Carter Brey. Festival appearances include the Brancaleoni International Music Festival, Killington Music Festival, Green Mountain Chamber Music Festival, Aspen Music Festival, and Hot Springs Music Festival. Previously, she was the violinist of the USF President’s Trio (featured on WUSF radio). She currently holds the Froehlich Family Violin Chair in the Ann Arbor Symphony Orchestra. Adams also has a passion for contemporary classical music. She has worked closely with composers Augusta Read Thomas, David Del Tredici, Salvatore Sciarrino, Michael Timpson, and Ricardo Zohn-Muldoon, and has premiered and recorded pieces for Taiwanese composer Chihchun Chi-Sun Lee. One of Adams’s main areas of focus is making classical music relatable and accessible. She is currently the artistic director of "If Music Be the Food...Lansing," a concert series that directly benefits the Greater Lansing Food Bank (more information available at www.ifmusicbethefood.com). Adams was previously a member of Chamber Music Michigan, an initiative that focuses on outreach concerts within the Ann Arbor community. She is also a dedicated teacher with a current private studio, and was previously on faculty at the Patel Conservatory and Nature Coast Strings. Adams holds degrees from the University of South Florida (Dr. Carolyn Stuart), Boston University (Bayla Keyes), and a DMA from the University of Michigan (Aaron Berofsky).